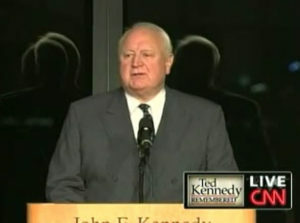 John Culver at Ted Kennedy’s memorial. 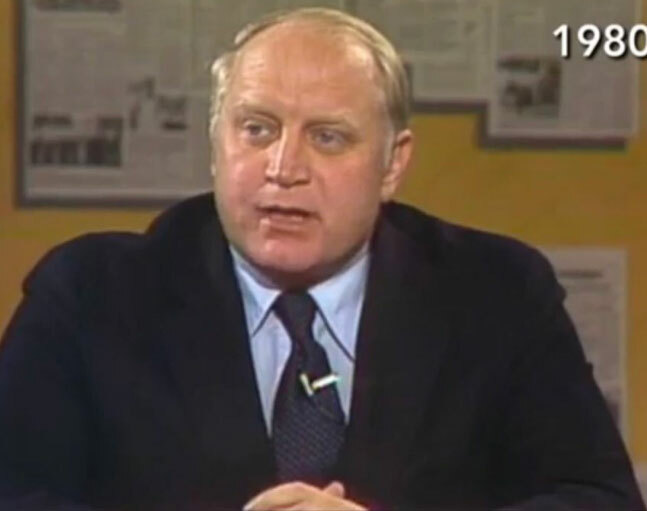 Former Iowa Congressman and Senator John Culver has died. Culver who was also the father of former Governor Chet Culver, died Wednesday at the age of 86. John Culver was born in Rochester, Minnesota and raised in Cedar Rapids, Iowa, where he graduated from Franklin High School. He served for 39 months as an infantry officer in the United States Marine Corps before getting his law degree at Harvard. Culver, a Democrat, was elected to the U.S. House in 1964 and served 10 years there until being elected to the U.S. Senate in 1974, and served one term before being defeated in his reelection bid. Culver had been a classmate, friend and legislative assistant to Massachusetts Senator Ted Kennedy. 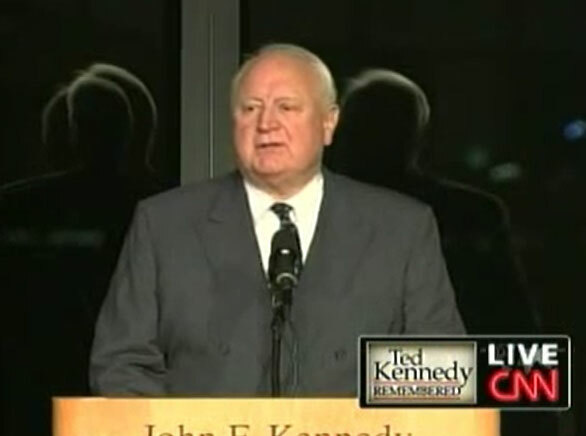 He told a humorous story in 2009 at Kennedy’s funeral about being invited by Kennedy to go sailing in the summer 1953. Culver told Kennedy he had no experience on the water. IPTV photo of John Culver in 1980. “I’ve never been on a sailboat. I think I’ve seen a picture of a sailboat. I come from Iowa and the only boats I ever saw were barges on the Mississippi River,” Culver recalled. He agreed to go sailing with Kennedy, but had reservations after an announcement came over the radio on the way there. “And it said ‘danger at sea don’t anyone go out in the ocean.’ And I said well Ted I guess the sailboat trip is off. He said ah, there’s nothing to it. And I said well the fellow on the radio thought there was something,” Culver said. He says they got out into the ocean and things didn’t get better as they only got about 200 yards out when he threw up the sandwiches. “And I thought I was going to die. I was hanging over the side of the boat and he was screaming at me,” Culver said. Culver says to top it all off, after getting back to where they could see the lights of home, the wind died and left them sitting still in the water. “We climb out of that boat into the water and he’s pulling and I am pushing, and we finally make it back to shore,” Culver said. “When we were back at summer school, it was a whole week before I could get the seaweed taste out of my mouth.” Culver finished his tribute saying he had many fine sailing experiences after that, and though he never became a sailor — he says Kennedy even cut him some slack. Culver practiced law after losing his reelection bid, and stayed in practice until 2009. Since 1975 Culver had served on the Senior Advisory Committee of the Institute of Politics at Harvard University’s John F. Kennedy School of Government. For more than a decade he was Chairman of the Senior Advisory Committee and also, in 2010, was Interim Director of the Institute. In 2013 he became Chair Emeritus. He received many other recognitions following his career in Congress, including a scholarship in his name at Harvard’s Kennedy School of Government, and the John C. Culver Public Policy Center at Simpson College in Indianola. John Culver is survived by his sister, Katherine Baty; by his wife of 34 years, Mary Jane Checchi; by his four children, John Vincent Culver, Chester John Culver, Catherine Jungmann, Rebecca Scoggin, Christina Culver; and by eight grandchildren. He will be buried in McGregor, Iowa, where for many years he owned a home. “On behalf of the entire Culver family, I want to express our sincere thanks for the condolences of so many people whose lives were touched by my father, Senator John C. Culver. From the bottom of our hearts, we appreciate it so much. My father’s life was one of service to his family, to the state of Iowa, and to the country. As a young man, he began his career of service as an officer in the United States Marine Corps. His dedication to others continued with his election as a member of the United States House of Representatives in 1964, and in 1974, to the United States Senate. In his later years, he continued his service, establishing the John C. Culver Public Policy Center at Simpson College, mentoring and teaching the next generation of political leaders. He was a man of remarkable character. He was courageous and compassionate. He lived his life thankful for the opportunity to serve, and he taught me the importance of service to others.